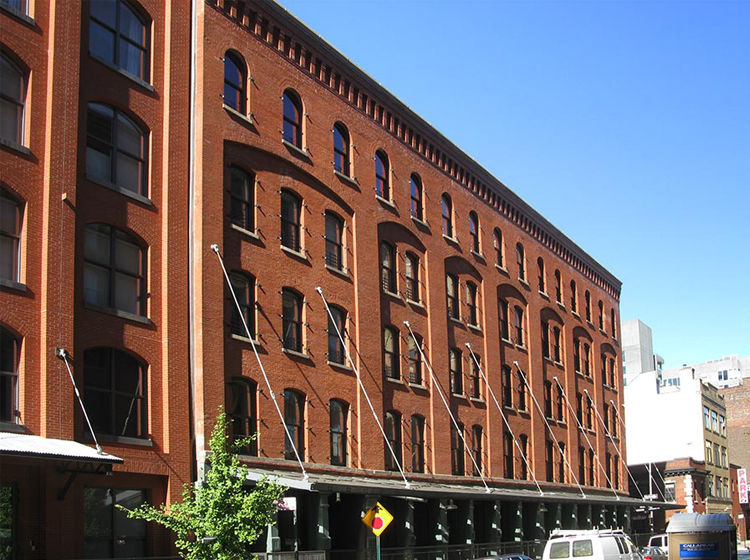 This luxury residential development, part new construction (a 12-story tower) and part historic structure (a 6-story 1882 maritime warehouse), was completed in 2003. Following occupancy it became apparent that there were serious construction deficiencies. Chronic water and air infiltration, accumulating mold problems and lack of sound and odor isolation between apartments raised questions about the construction assembly. After several years of unsatisfactory forensic work Bone/Levine Architects was engaged to do a comprehensive investigation of the building envelope, interior construction conditions and building systems to determine what problems were present. On the facades, the evaluations revealed cracking and displacement of precast concrete elements and premature, widespread masonry failure. Probes showed a lack of proper stone anchors, waterproofing, seismic detailing, brick ties and shelf angles. 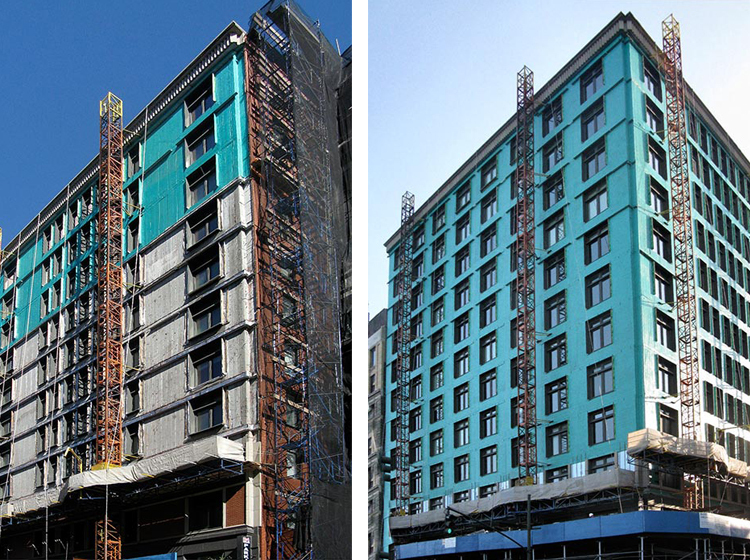 It was clear that the only effective course of action to yield a code compliant, high performance wall system would require reconstructing the exterior components of the facade. Ten floors of brickwork were removed, seismic reinforcing cut into block back-up walls, shelf angles removed, re-anchored and repositioned to allow for insulation and waterproofing, and the masonry rebuilt. The work included window replacement and zinc window surrounds. Building inspections also revealed that the structures lacked primary fire divisions, fire stopping and fire proofing on structural members. The correction of these conditions required interior modifications of stairways, shafts, and highly finished, occupied units. B/LA provided the reports, documentation and testimony to the NYS AG’s office related to settlement agreements with the developer.